We’re gearing up for National Hamburger Day with one of our tastiest lists yet. With the lightly toasted bun, the juicy beef burger, the cascade of melted cheese nirvana spilling over the sides, and the crisp, refreshing crunch of fresh vegetables, all in one bite, cheeseburgers might just be the perfect food. While you may think of Virginia Beach for our blue crabs and fresh catches of the day, it would be a huge mistake to overlook this American culinary staple while you’re here. 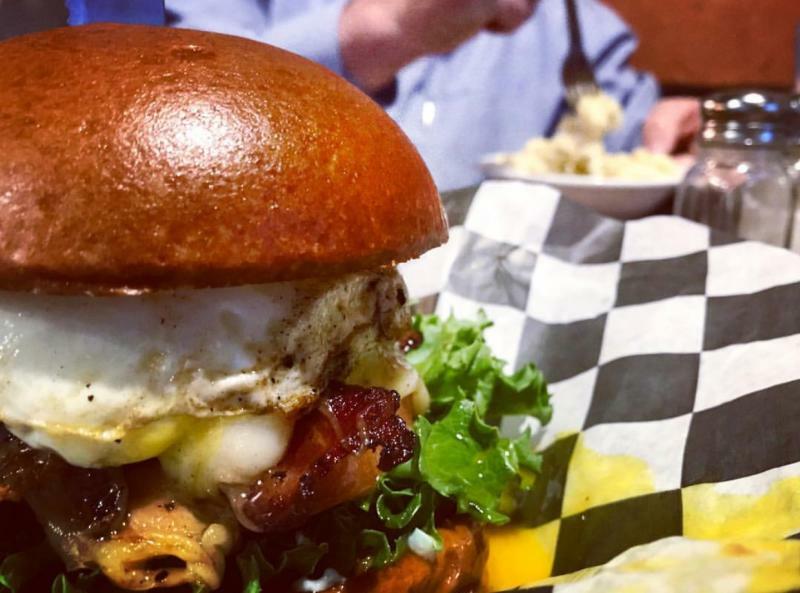 Here are a few local burgers we never get tired of sinking our teeth into. 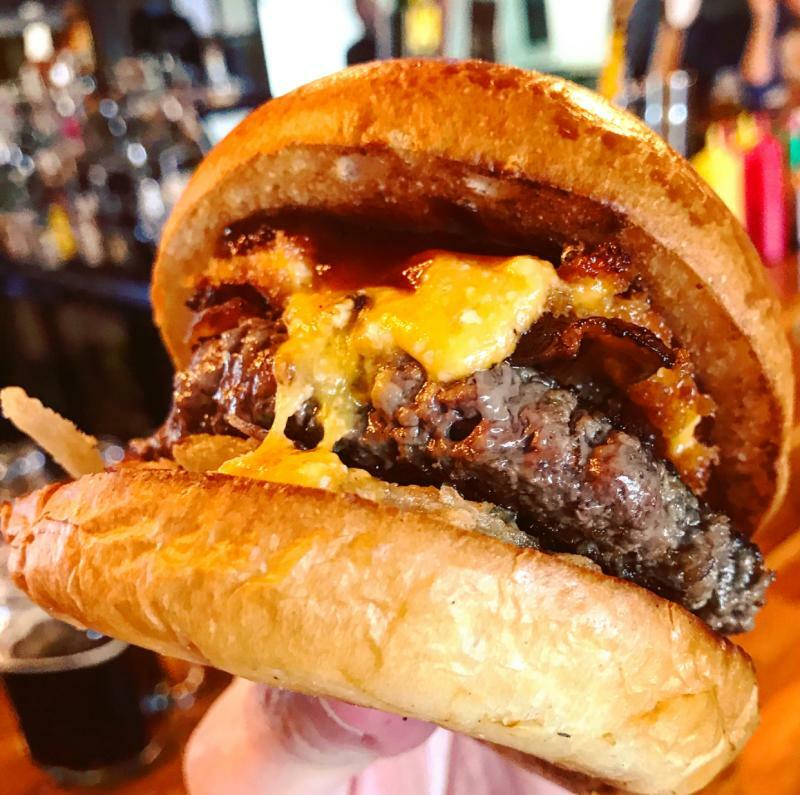 While it&apos;s hard to go wrong with any of Taphouse&apos;s burgers, with names like "Low Tide" and "Shark Biscuit," the real star of the show is their Monday Night Burger night, with an ever-changing list of specialty burgers for only $7. Heck, for that price you can try more than one! 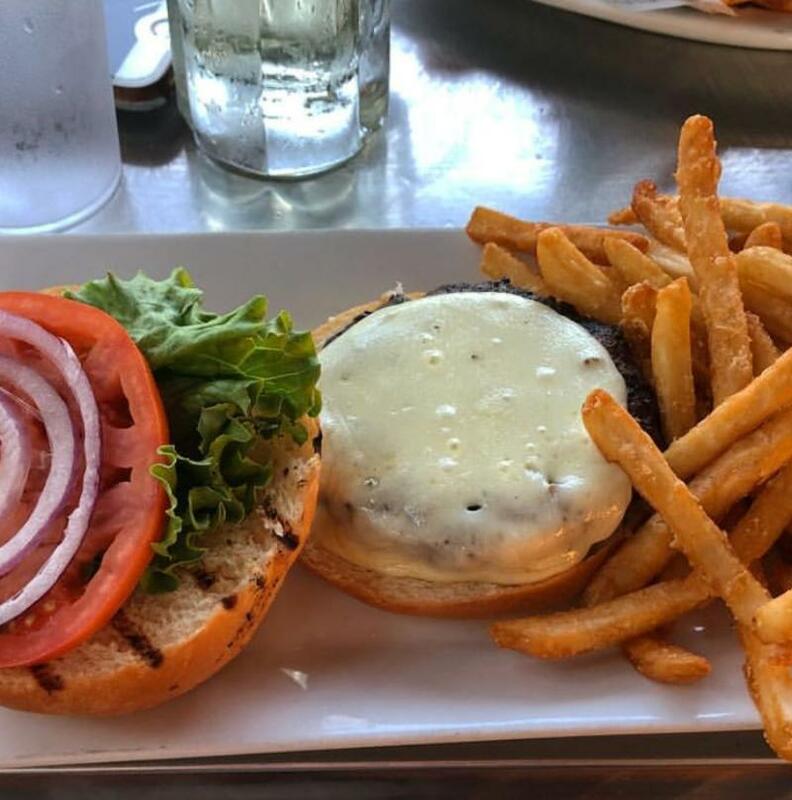 Wash it down with a craft beer from their large draft list, and enjoy unbeatable views of the Atlantic Ocean and Virginia Beach Boardwalk while you eat. It may seem like a simple choice, but when a place slings a burger as tasty as those coming out of Lager Heads, at the Virginia Beach Oceanfront, sometimes you just need to go with the classic. 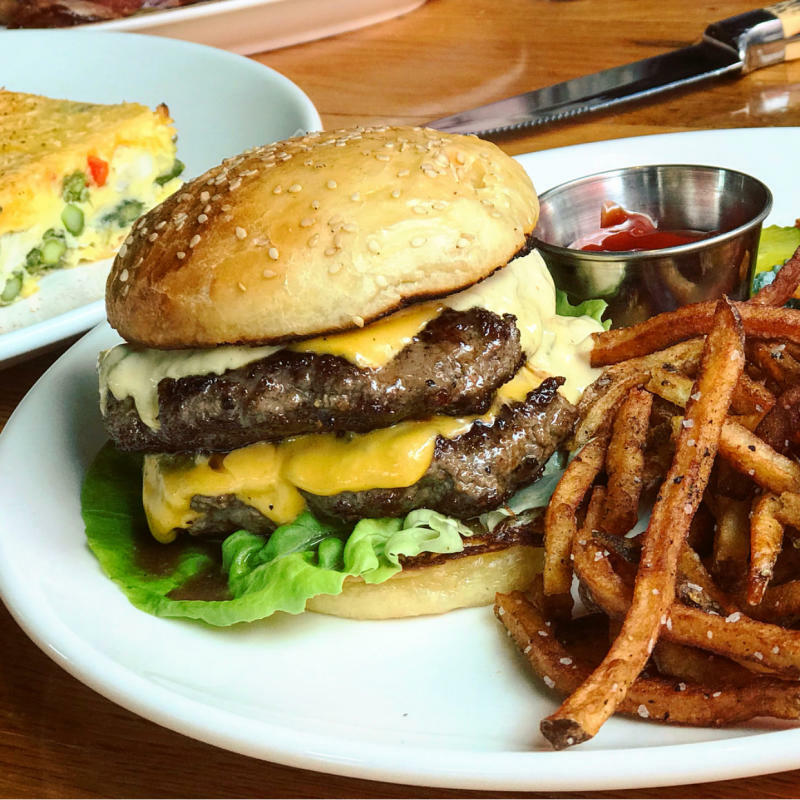 With burgers made with premium 80/20 ground beef and veggies sourced from our agricultural community of Pungo in the warmer months, this burger is a fresh and juicy bit of burger heaven. With all of their burgers made using Wagyu Beef, you really can’t go wrong with anything you get at this ViBe District burger joint. We like the Whiskey Burger, topped with fried pimento cheese, bacon, onion, and bbq sauce. You can also order any burger with their black bean burger patty or, for a low-carb option get any burger on an avocado bun! 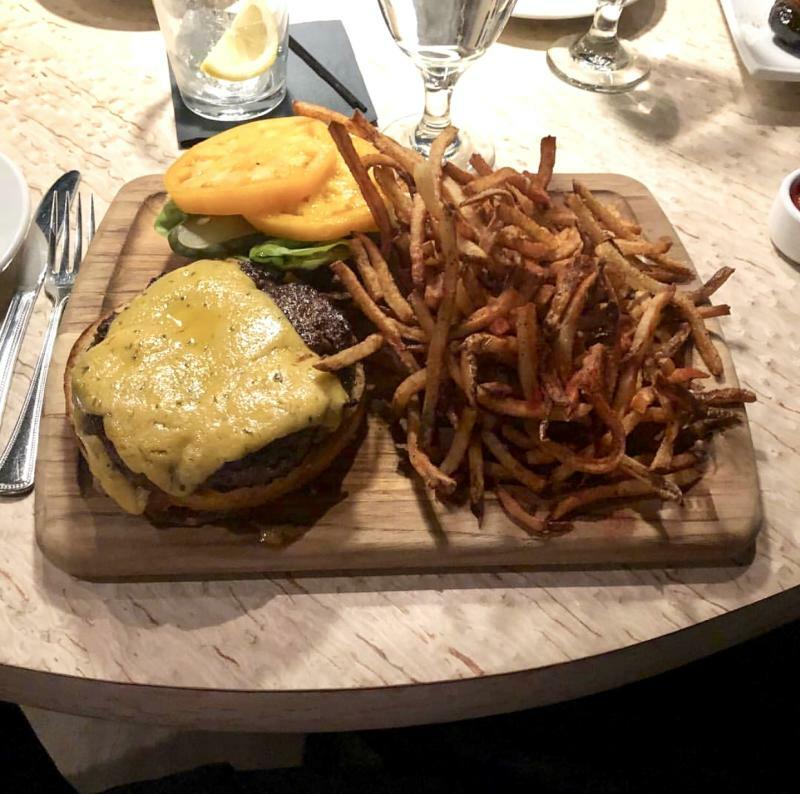 If you haven’t seen the infamous video of David Hasselhoff eating a cheeseburger, then you may never fully understand the nirvana that a good cheeseburger can inspire. Fortunately, Eat’s tribute to the Hoff will get you pretty close. One bite of this burger, with Wagyu beef, pickles, lettuce, tomato, delectable truffle mayo and a smothering of melted Cotswold double Gloucestershire cheese and you may soon be expressing your love for the food on camera for the world to see, too. 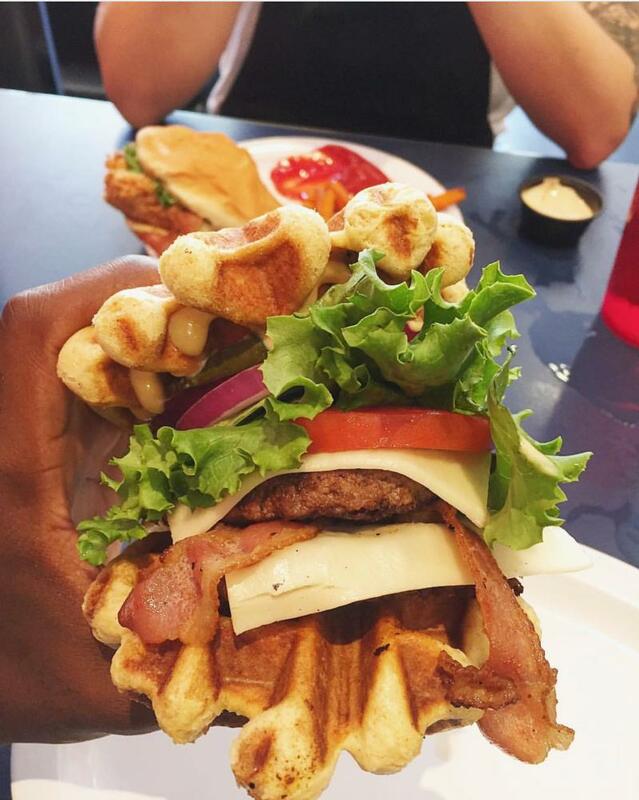 While this small, local joint in inland Va Beach is serving out some mouthwatering dishes like their famous wings, voted as the Best Wings in Virginia Beach, they’re main claim to fame is the waffle burger, which is exactly what it sounds like. This burger, with a 6oz. Angus beef patty, bacon, grilled onions and a fried egg is served between two fluffy belgian-style waffles, and plays a delicious ode to breakfast with every bite. This is something you just need to try. 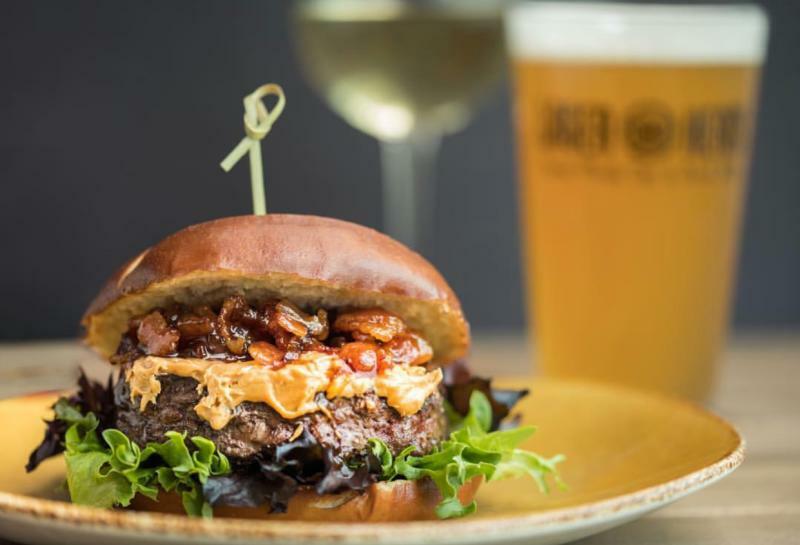 Stoley’s Chef and part-owner David Hannah is a master at grilling up a mouthwatering burger, with a menu filled with can’t-miss options, including the plant-based Beyond Burger with homemade tomato jam that you have to try (seriously). For the meat eaters out there, we’re obsessed with The Jelly Belly burger, topped with thick slices of slow roasted pork belly that will literally melt in your mouth, red onion marmalade, and a spicy homemade jalapeno pepper jelly. Chef Hannah’s homemade jams and jellies are the star of many of his burgers, but the pork belly here is your first class ticket to Flavortown. While Hearth, one of our favorite pizza joints, might seem like a weird place to be on this list, they serve a burger one night a week that you have to try. 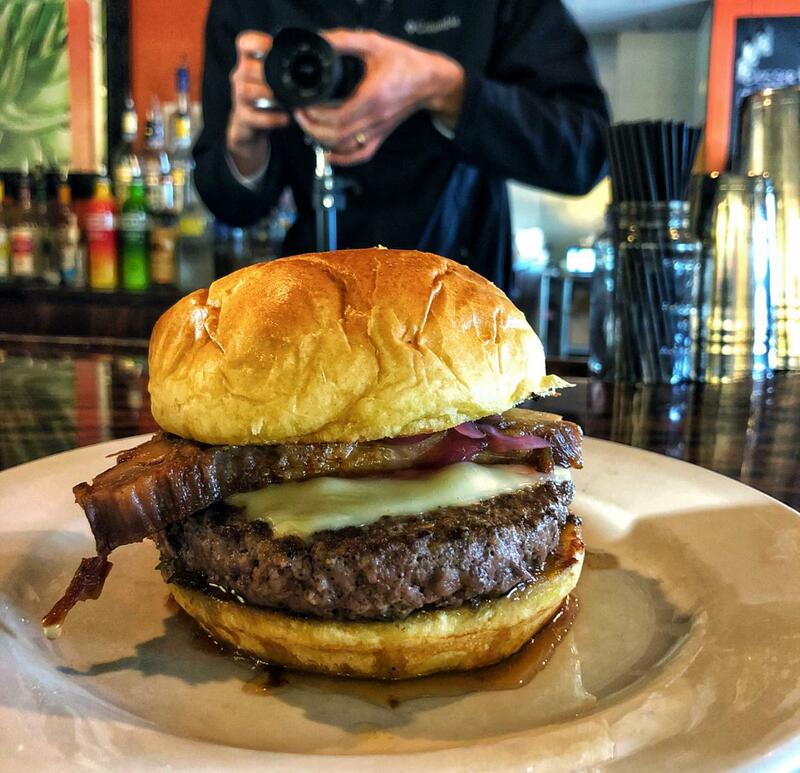 Every Thursday night, they offer their famous Smash Burger, a 60/40 blend of ground ribeye, chuck and house-cured bacon, shaved red onion, bibb lettuce, their “fancy” sauce and bread and butter pickles, all on a homemade brioche bun and with a side of fries. Add in a beer menu filled with great local and regional brews, and Thursday night burger night is our new favorite weekly tradition. A local favorite for many burger and bourbon aficionados alike, this speakeasy-style joint in the oceanfront does not disappoint in either department. Start your visit off with an expertly crafted Old Fashioned, with your choice of whiskey, bitters and garnish, before sinking your teeth into the main course. Sticking with the mood of the evening, we recommend The Prohibition, a perfectly made beef burger topped with Surry County Bacon, cheddar and Swiss cheeses, a classic assortment of fresh veggies and topped with a free-range over-easy egg.